Seasoned business owners and individuals planning to start up a new e-commerce business choose to sell their products on Etsy to increase their reach. Etsy is an e-commerce website that focuses on vintage items, craft supplies, and homemade goods. Whether you are selling a handmade bag, crochet stool covers or gold necklace, you can easily connect with different buyers and sellers around unique products. This post list out some great ways to prepare your Etsy shop for better ranking and high conversions. When optimizing your Etsy shop store, it is important to start with the products that you are offering. This is crucial because no matter how optimized your shop is, your business is defined by its products. The products that you are offering should be strong or else your Etsy shop store will fail miserably. Therefore, before thinking about your marketing strategies, work on developing good products to attract potential customers attention easily. Marketing alone won’t help your business to sell atrocious products, thus, it is imperative to develop customers’ profile and design products to suit their needs. Be actively involved in the research work to understand your customers and their requirements in a better manner. A strong product offered along with marketing and optimization efforts will have a better impact on your clients’ and will give increased visibility to your shop. Make sure your Etsy shop is prepared for the visitors coming on it through a search engine or referrals. Before customizing the shop, make sure that it is equipped with all the products and has been customized as a whole. For the same, the first step is to categorize the products in different categories based on who made it, when was it made, what is the product and various other factors. Use a small and interesting descriptive title to define the products in a concise manner. The products can also be followed by images. The images that accompany the products play a major role in attracting your visitors’ attention towards your page from the search engine. Thus, use accurate images that can give a description about your product to the prospective customers. Spend some time clicking and selecting the images for each product as it can make your clients click on it or drive away the traffic. Also, make sure to upload only high-quality images to encourage the visitors to click on it. After uploading the images, make sure to write alluring and innovative description to help the visitors know more about the product. Description of the product can have an impact on the search and thus, you can make an amazing first impression on your visitors by writing an impressive description. While writing the product description, it is important that you know who your target audience is and what are their interests. Write a description that include all the unique benefits and features of the product. Use a consistent tone while writing and be persuasive while explaining the product benefits. After uploading the images and description, it’s the time to optimize the overall Etsy shop for higher ranking and increased traffic. Start by visiting the about menu and add a shop title, a descriptive link, a banner and shop announcement. You can even add a photo of your shop and create a profile as a seller for better impact. The shop announcement should clearly describe what your Etsy shop is all about in not more than 160 characters. Next, write a description of your shop as a whole and describe its history, mission, vision and focus to create your own product line. To increase the visibility of your Etsy shop, you can even add the links to Facebook, Twitter or other social media platforms. Email, sign up form or your blog can also be linked to the Etsy shop for increased visibility. By including these links, you will be making it easier for your loyal and new customers to access your services. By setting up a profile as the shop owner, you will be able to interact with your clients in a better manner. The show owner profile can describe your professional history and relate it with your offerings. In this way, you can express your story in a better manner. Nothing is as important as selecting the right keyword to describe your offerings. When choosing a keyword for your Etsy shop, think about a different word that the users may be using to search for a particular product. You can even use the Google’s keyword planner to find the most relevant keyword. Content is regarded as the king in SEO, therefore, make sure to describe your products in the best possible manner. Write quality content and provide information that can be easily determined by the search engine. Last but not the least, it is vital to understand how your Etsy shop store display in the search results. Use different preview tools to view the results. Descriptive titles are the best, so ensure that your products are described in a manner in which your potential customers would like to find them. In order to determine the ranking order, different search engines use links, however, there is no such tool that determines how many links are enough. 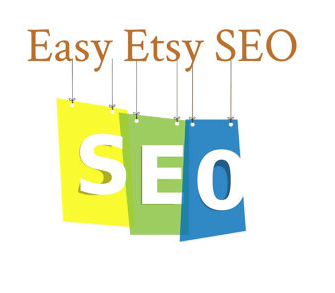 So if you have a blog, make sure to link it to the Etsy shop or listing for increased ranking on search engine. You can even link between the listings on your site. Internal linking will help to pass the link authority between different pages, making it easy for the search engine to rank the page. However avoid purchasing links from spammy sites. To sum it up, we can say that there are a large number of factors that will help you to increase your Etsy shop visibility and ranking, but these were the most important factors that must be kept in mind while setting up your Etsy shop. Everybody wantsx to increase traffic to avail high profits, but make sure that you focus on your target audience so that they can easily find you wherever they want to.